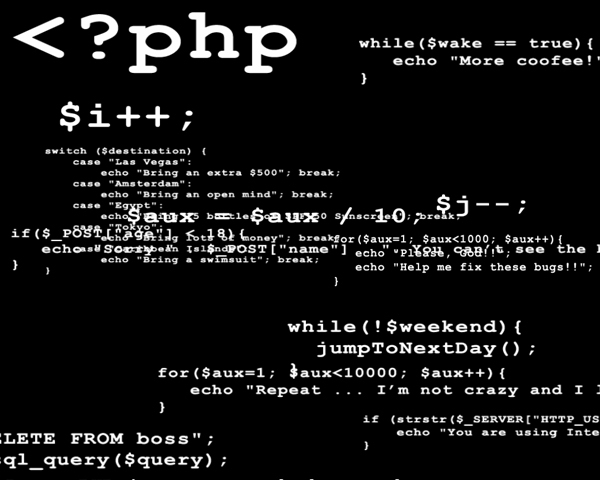 Should you send source code to a prospective employer? Last spring while searching for a job, I came across a posting for a PHP developer. Cool, PHP! I love PHP, so I typed up a cover letter and attached my resume. I noticed that the ad also invited applicants to include some sample source code that “best shows off your abilities.” I assumed that this was an option and not a requirement, because frankly, sending a random company my source code just seemed illogical to me. To be safe, I did state in my cover letter that I would be happy to show them some code samples upon meeting with them in person. You forgot the source code! Thank you for your application. However as per [URL removed] we can only consider applications for an interview that have code samples attached. It is important to us to have a demonstration of an applicant’s coding abilities prior to making a decision on an interview – resumes simply aren’t enough to go on. Please resubmit to hiring@[domain removed] with your resume and one or two sample source files that you feel best demonstrate your abilities. At first I thought, ok, I will comply, but then I realized how difficult and futile this task would be. For the last few years, all my PHP projects have been done using the Zend Framework. If you know anything about the Zend Framework, or any other framework employing an MVC architecture, you know that your project will have multiple files. Is the prospective employer going to look at them all? Not a chance. But what portion do I send them? A controller? Well, they use several models, which use more models… and what about the views? For the company to get a true impression of my abilities, they would have to receive and understand the entire project. Software development is not about source code, it’s about problem solving. 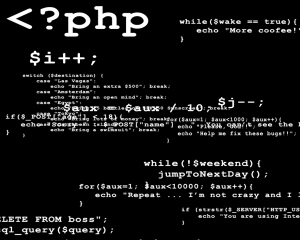 This company gave the impression they were looking for some clever PHP algorithm to show how amazing you are. Quite frankly, I think they were looking for the wrong thing. I consider a good PHP developer to be someone who writes easy-to-understand, modular, well-documented code. These skills are not so easily demonstrated in a sample piece of code. It would make more sense to me if the company in question had asked to see a complete project including flowcharts, diagrams and the entire source code. Of course, this brings up another issue. Is such a request even ethical? While I don’t mind demonstrating my code to a prospective employer, I certainly am not simply going to hand it over to them. What about non-disclosure agreements? A good portion of my code is written specifically for my clients. I don’t care if it’s Apple or Google requesting my code (mind you, they would know better than to ask), I’m not giving my code to anyone unless they license it from me. I can only conclude that this prospective employer has absolutely no idea about good software development and lacks any experience in the industry. Otherwise, they would realize how short-sighted and unhelpful so-called “code samples” are. How should an employer determine a worthy programmer? Grill them in the interview. Have them write a quick PHP script on paper or even give them 10 minutes on a computer. Ask them how to solve a problem using PHP. There are so many ways of determining a programmer’s worth aside from a measly sample of code. Try talking to them! It’s simple enough: If they’ve never heard of MVC or can’t describe object orient programming to you, then you describe to them the way out the door. I replied to the email with pretty much a summary of the above rant. Knowing full well I had just negated any possibility of getting the job (unless this was a test to see if I was stupid enough to send them my code), I asked them to remove my application request for the job. Looking back, I stand by my decision. I can only imagine how horrible it would be to work for a company with such backward thinking. The whole situation reeked of inexperience and poor management. As a side note, I am now employed as a software developer and, prior to hiring me, my current employer did not ask me for samples of my source code–go figure. PowWeb’s Secret Price Increases: Double Check Your Invoices! PowWeb is a shared web hosting service that attempts to set itself apart from other hosts by its proprietary “load-balanced hosting”–marketing buzz words as far as I’m concerned, but then, in the shared hosting world, everything is a marketing buzz word. Anyway, back in 2007, I needed a hosting account, and since I had heard good things about PowWeb, I signed up. They had some buy-1-year-get-6-months-free promotion at the time. By averaging out the monthly price of $7.77 (paid annually, of course) over 18 months instead of a year, this reduced the monthly price to $5.18 per month. Not bad. During my time using PowWeb, I’ve found their support and service to be excellent for a shared host. Page load times are horrible (my Rackspace Cloud Server has spoiled me), but it’s a shared host so I won’t complain. The service is very reliable with practically no downtime. I’ve been a happy customer these past few years–that is, until I got my latest bill. with the service you’ve received from PowWeb. A payment for your “[removed]” account is due on 3/21/2010. Please refer to the invoice below for payment information. What?! First I got out my calculator and then I got mad. For some unknown reason, without warning or notice, I am being billed an extra $1.50 per month. I immediately contacted support. I usually get a reply back with a few hours max, but this reply took more than a day. 1. Rising cost of technology and support resources. Several things about this reply confuse me. First of all, why do they keep calling $93.24 ($7.77 per month) the “actual price” when it’s not the actual price anymore because they are increasing their price? They are apparently going to charge me the $93.24 for this year (they haven’t yet), but that’s not good enough. They’ll probably just charge me even more next year. I can understand raising prices, but this is a very deceptive method. They could at least have some fine print at the bottom of the email saying, “Oh, and we have increased your monthly hosting package to x.” Don’t try to hide the fact by giving the customer a total that they won’t recognize has been increased. Oh, and if the price increases, increase it for everyone. Don’t keep the old regular price on the front page of your website! I will be moving to a new shared hosting company before my next year’s bill arrives. This sort of thing is unacceptable and I refuse to deal with companies that employ such misleading practises. For the first time in my life, I have actually taken somewhat of an interest in the Olympics. I installed the 2010 Olympics App on my iPhone and tracked the men’s ice hockey event. I never actually watched an entire game, mind you, but I used the app to keep track of Canada’s status. That was pretty much the extent of my patriotism, I must admit. When it comes to Olympic branded merchandise, I still could never bring myself to spend good, hard-earned money on what I consider very overpriced souveniers. For those who are not like me, however, purchasing Olympic merchandise can be difficult, if not impossible. My sister, who herself takes little interest in the Olympics, wanted to buy her husband an official Olympic toque from the vancouver2010.com website for his birthday, since he is an avid fan. There was only one problem. They wouldn’t accept her MasterCard. In fact, the vancouver2010.com website does not accept any form of payment other than Visa. In recognition of Visa’s long-standing support of the Olympic and Paralympic Games, we proudly accept only Visa cards on vancouver2010.com. I was astonished. What was the Olympic committee thinking? “Oh well, the world’s already blown $2.5 billion on us, so let’s try not to take any more of their money by limiting our sales of merchandise to Visa card holders only”? Isn’t that discrimination? There must be a law about that someplace. Personally, I refuse to get a Visa because I am unaware of any Visa card that does not charge monthly or yearly fees. I love my MasterCard, the balance of which I pay off every month. I pay no fees, no interest, and they even give me free groceries. But apparently, the Olympic powers that be have something against my kind, because they won’t let us buy their merchandise online unless we switch our credit card allegiances. I’d love to see the business model that supports the turning away of paying customers on the basis of not having a Visa card. Someone please explain this insanity to me. Am I missing something? The only company benefitting from this is Visa. No one else. I wonder what kind of dough they had to cough up to be the exclusive payment method of the Olympics. It must have been more than the estimated total merchandise sales from all the American Express, MasterCard and other credit card holders of the world combined. Oh well. Now that the Olympics are over, we can all get back to using our inferior credit cards again.